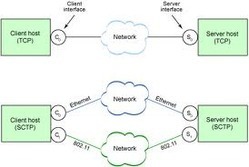 FreeBSD 7.0 is the reference implementation for the new IETF Stream Control Transmission Protocol (SCTP) protocol, intended to support VoIP, telecommunications, and other applications with strong reliability and variable quality transmission through features such as multi-path delivery, fail-over, and multi -streaming. Backed by the support of our talented professional in this domain, we have been able to bring forward a qualitative range of Transmission Control Protocol. Control Gear Unit offered by us is designed and developed under strict quality control. Control Gear Unit are built as a single unit to give co-axial, compact and sturdy construction imparting slow speed and high torque power transmission. WABCO develops diversified driveline control systems and devices that enhance safety and improve fuel efficiency. With more than 40 years experience in clutch control and over 20 years in transmission automation WABCO innovates its own product range in close cooperation with customers.